Run Oregon loves running – that’s no surprise. But we also love the Pacific Northwest and all that it has to offer. Running is a part of us, but it does not fully define us. In our new “Make a Day of It” feature, we aim to showcase some great local non-running events and highlight where to run and how to make the most of your experience! 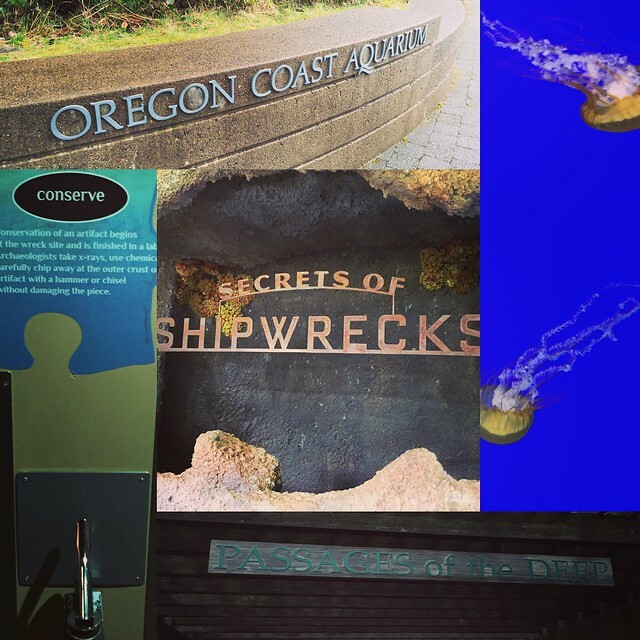 The next installment of this series is the Oregon Coast Aquarium! This is about a 3.2 mile (one way) trek, so it’s a great 10k training route. You could also add a little trip around the Yaquina Bay Lighthouse on the way back if you are so inclined. There are some great races that take place on in Newport. Race company Ardor Adventures is the main source of year round events. The Newport Marathon is definitely the biggest nearby event, coming to town in June each year This event generally fills up prior to race day and features some amazing local, handmade medals. Run with Paula’s Bay to Brews event in October is also a great run. Did you know that the Oregon Coast Aquarium also puts on its own 5k? April 2018 featured the 6th annual Oregon Coast Aquarium 5k & Kids’ Dash. Event registration comes with FREE ATTENDANCE at the aquarium for the rest of the day. The route even includes running through the Aquarium to the finish line. Completely worth it! My 2-year-old has been all about animals for a while now – and though we went to the Aquarium when she was just a tiny baby, this was the first time she cared about the experience. We escaped the Valley heat wave and lucked out with a mild and non-windy day – perfect! We started outside by checking out the sea otters and sea lions. My kids were mesmerized with how gracefully they swam and they went back and forth between looking at them from above water and below water. Then they took a nap (lucky). We also spent a lot of time in the aviary, as my oldest has been learning about puffins at school and was SO excited that she got to see a real one. She was dropping all sorts of knowledge about puffins – even blowing away some adults in there. We also got to see the sea lions put on a show during feeding time and watched all kinds of fish and sharks surround us in the Passages of the Deep. A historic and participatory exhibit that captures the spirit of archaeological adventure. This is not about discovering sunken cities of gold or pirate’s booty. It is about playing Indiana Jones for the day, embarking on a quest to learn about the past, understand the present, and glimpse the future. This four-gallery underwater wonderland will take you on a journey through representations of the artificial reefs that shipwrecks create around the world. Replicas of real artifacts discovered in historic shipwrecks from the Red Sea to the Caribbean will tumble seamlessly from mural, to exhibit to gallery floor.In this immersive aquarium experience, you can meet a giant green moray eel that stretches to over six-feet long and smile surrounded by a crawl-through tank of toothy, color-changing barracudas. Live tropical coral reefs will abound with jackknife and butterfly fishes, and you can peer into the rarely interpreted fresh water world of shipwrecks in the Great Lakes. 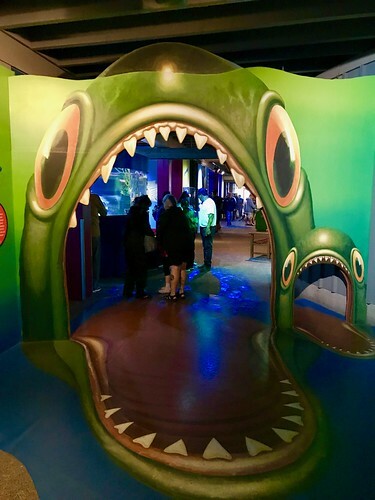 You will be able to explore the science and technology that people use to bring the mysteries hiding in the underwater world to light through interactive displays for visitors of all ages. My kids actually loved this part of the event – more so than I thought they would. They loved pretending to be captains and were looking on the dry-erase maps for the icons that meant “shipwreck” along the Oregon Coast. They were full of questions, and that made me super happy. The exhibit also featured some papers that needed to be stamped throughout the equipment, and my little explorers were on the quest the whole time we were in there. The Oregon Coast Aquarium really does a solid job of combining new stuff with old favorites (those jellyfish mesmerize me every time). This is truly a place to make a day of it! In addition, if you plan on visiting multiple times throughout the year, consider being a member. Starting at only $50 (or $80 for a +1), you can attend an unlimited amount of times for one year. Sweet deal! 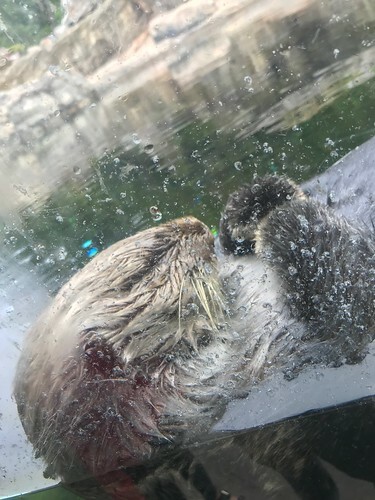 There are also a variety of specialty add-ons that can be purchased as well, including a Seal and Sea Lion Encounter, Giant Octopus Encounter, and a Behind the Scenes Tour. There is also a Sleep with the Sharks event, which my kids thought was both the most terrifying and most awesome thing ever. I highly recommend checking out their Feeding and Tour Schedule to make sure you are not missing out. Another cool thing they do is a traveling outreach program. Each year, the mobile task force traverses the West Coast and reach over 30,000 elementary school students in Oregon, Washington and California. So awesome! Follow the Oregon Coast Aquarium on Facebook. 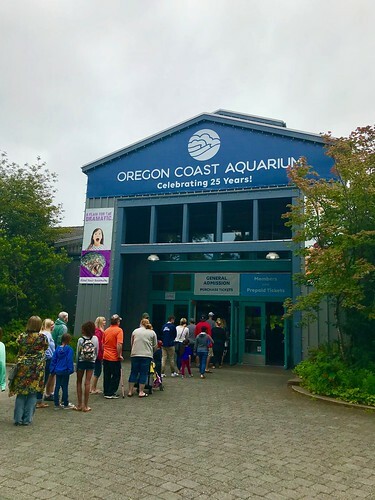 Thank you to Oregon Coast Aquarium for providing Run Oregon with passes to experience all they have to offer!